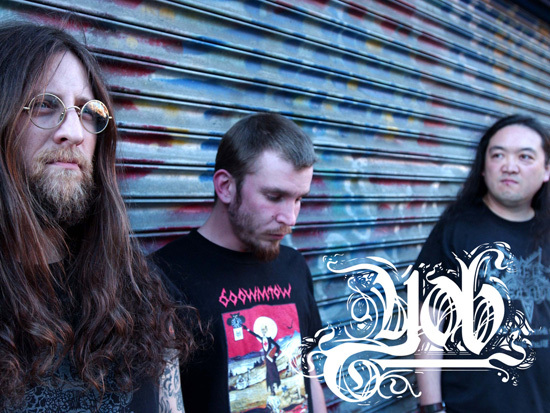 Hailing from the ever-gray skies of Eugene, Oregon comes YOB, a band already well on their way to make their mark in the DOOM metal scene worldwide. 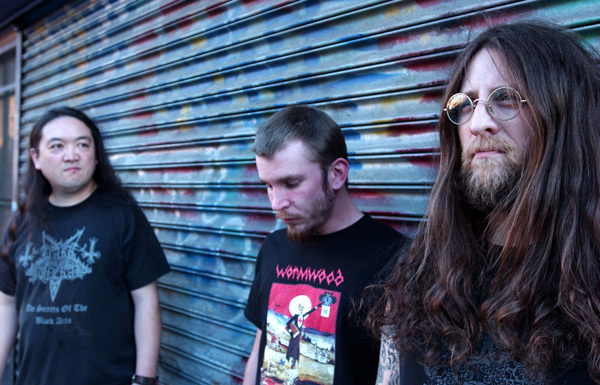 Formed in 1996 by founding member Mike Scheidt YOB started creating and destroying ideas that would become the foundation for one of DOOM metal’s most shining hopefuls. 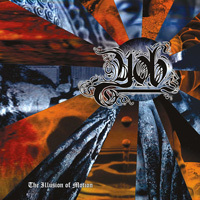 YOB is prepared to release their sophomore effort on Metal Blade Records titled The Unreal Never Lived, which follows up their tremendously successful Metal Blade debut The Illusion Of Motion. If the bands previous effort didn’t catch your attention then watch out because The Unreal Never Lived is sure to make a lasting impression on fans both new and old with their brand of heavy and unrelenting Doom metal that has secured the band a place in the history of heavy metal. 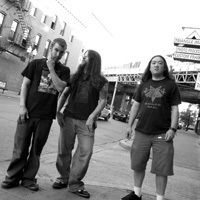 The first three song self-titled demo was submitted to Stonerrock.com in 1999, sending shockwaves into the stoner/DOOM scene worldwide. 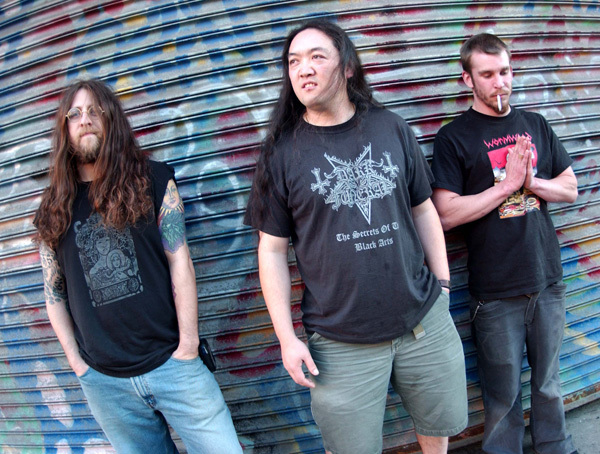 This demo was a bold statement of intent: uncompromising HEAVY DOOM METAL. 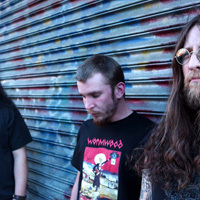 Within YOB‘s sound, which is equal parts SLEEP, Burning Witch, Neurosis, High On Fire and Electric Wizard, YOB has accomplished song craft that is as much their own sound as it is paying homage to the DOOM metal greats of both times of yore and present. 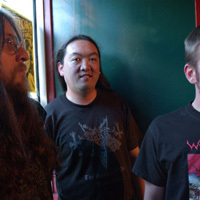 In 2001 YOB recorded its first full-length record for 12th Records in Spokane, Washington titled Elaborations Of Carbon. 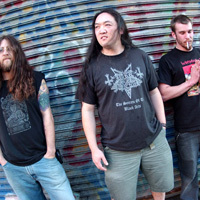 This offering received dozens of rave reviews from magazines/fans worldwide, securing YOB‘s place as one of the best DOOM metal bands in the scene today. The Lollipop Magazine review of Elaborations Of Carbon says, “Six mighty songs of beautiful doom-laden sound, full and expansive. Inverted, hanging riffs, Melvenoid spacey trudging, Tab-esque motion, and a deep well of compositional creativity…only a complete dupe would say this isn’t a good one”. 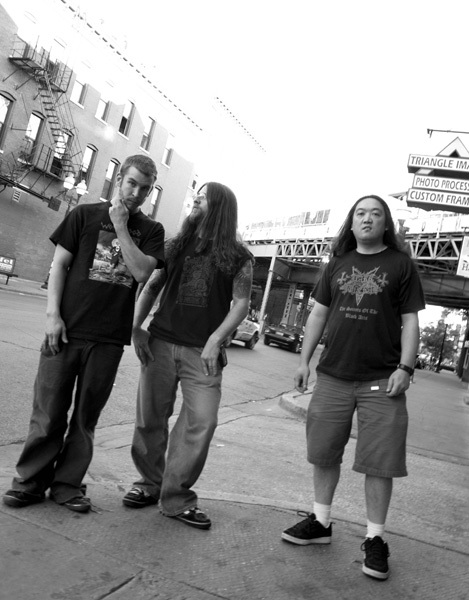 2002 saw YOB secure a recording contract with Lunasound/Abstract Sounds. Their first CD for this label, Catharsis, hit the streets worldwide November 4th, 2003. Featuring a stronger production and three songs clocking in at 50 minutes, those who have heard it proclaim it is the best YOB record yet. 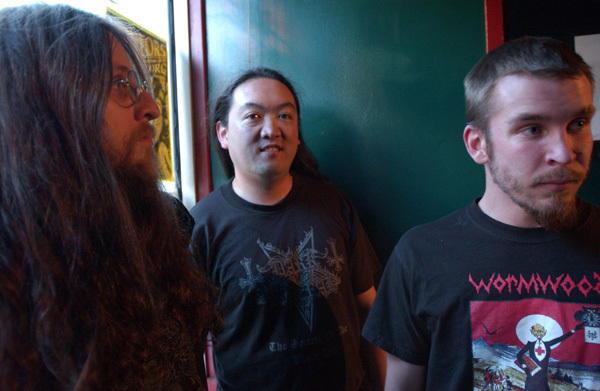 That is until the release of the infamous doom metal album The Illusion of Motion, which showed the band expanding even further into the depths of their musical insanity. 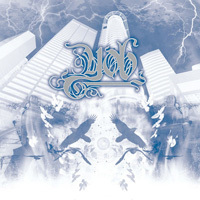 Enter 2005, after the release of the highly praised The Illusion of Motion the band entered the studio once again to begin recording their next opus The Unreal Never Lived. The band headed back to Dogwood Studios to track out their latest material and then finished up with mixing/mastering at Gung Ho Studio both in Eugene, OR. “Stylistically this is very much a YOB album, and it is different than our other ones too” states guitarist and vocalist Mike Scheidt. “I would say overall The Unreal Never Lived is more aggressive than our other albums. It still has all of the twists and turns, atmosphere and melody that our supporters have become familiar with but there are definitely some new vibes and approaches in riffage for us. We are VERY excited for people to hear it.” One major difference in the recording of The Unreal Never Lived versus the bands previous albums is that they took more time to focus on sound than they have in the past. Moving mics, recording tracks and then taking the time to really listen to the sounds they were getting and make changes when they needed to. Once the band finished recording they hit the road for a very successful tour across the US showing fans that just because you are a three piece band doesn’t mean you can’t create as heavy and thick of a sound as preformed on CD. YOB has become known for putting on an astounding and innovative live show so if you ever get a chance to check them out do it as you will not be let down!